I’m the founder of Elite Axis – an exciting new company that aims to bring out the elite athlete from inside of you. I have been an athlete for most of my life and my love for fitness and health has brought me to this point. 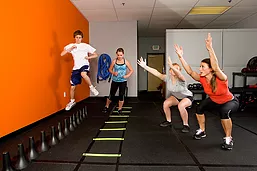 I have worked in many training facilities within the sport and exercise industry – including large gyms and chains, but I find the best approach is one that is tailored to your individual needs. I started Elite Axis to help people change their lives and achieve their full potential in life. At Elite Axis, our aim is to create a fun, safe and high energy environment where you are not judged by your body type, fitness level, age or gender. I will work with you to build a customized program that will meet your goals and fit in with your lifestyle. 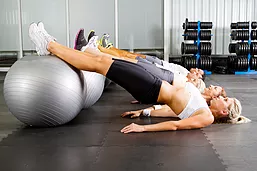 I will utilize a variety of training techniques and styles (incorporating examples such as cross-training, yoga, pilates, power lifting and corrective exercises). Elite Axis youth program is about giving back to our younger generation. It will allow them a chance to realize what life has to offer once you embrace a healthy fitness lifestyle. While beginning to set a foundation in which the y learn about body mechanics, proper exercise form, nutrition, and working on developing their confidence. All of this happens while having fun in a exciting and safe environment! At Elite Axis we believe that, "couples that stay train together, stay together." Even if you aren't married, but have a partner in crime. This is still an great program too take a look at. You will work as a team and individually for 1 hour long session. The trainers at Elite Axis will work along side you and your partner to create challenging workouts, that crush your fitness goals together. Also including nutritional and motivational support, for the both of you. Welcome to Elite Axis! My name is Glen Fortenberry – I’m the founder of Elite Axis – an exciting new company that aims to bring out the elite athlete from inside of you. I have been an athlete for most of my life and my love for fitness and health has brought me to this point. At Elite Axis, our aim is to create a fun, safe and high energy environment where you are not judged by your body type, fitness level, age or gender. and live a long prosperous life. Of course you know that any health and exercise program takes hard work, commitment and dedication – if you can hold yourself accountable for those aspects. "Having been an avid gym goer my entire life, I'd never understood the value of paying for a personal trainer...that is, until Glen. In the three months leading up to my wedding, Glen helped me drop 5 inches from my waist and 4 inches from my hips. Individually customized sessions mix in a wide variety of training methods (boxing, cardio bursts, strength training, etc.) that continuously challenge me, while still keeping it fun! In each and every session, Glen pushes me to work harder than I could ever do on my own - and the results continue to show through week after week. Glen's caring personality and extreme professionalism offers a comfortable training environment to help push you to where you want go!" "I met Glen in September 2014 and we have been training 1:1 at Jigalin Fitness in the Marina ever since. During the initial assessment and beginning training sessions, Glen was very patient, flexible and knowledgeable. He not only demonstrated the correct technique, but explained reasons for exercising to target specific problem areas. Since we first met, Glen has steadily pushed me to train harder and at a greater intensity. As a result, I’ve felt fitter and more energetic and am more motivated to get to the gym for a session. Since I have a way to go, I’m looking forward to having Glen by my side to continue coaching and supporting me and knowing what is best for me when I need to slow down or when I am being lazy and can give more. Glen’s flexibility and understanding has been one of the main reasons why I have continued to train with him – he has fit in very seamlessly into my hectic work and travel schedule, which is something that I have not experienced with many personal trainers in San Francisco. Thanks to Glen, I look forward to working out; I don’t dread a session before I get there; and I feel energized after each session. " "My wife and I were lucky to have found Glen when we first moved to San Franscisco and we have been working with him every since. When we moved to Berkeley we had to find a way to continue to make it work and Glen was incredibly accommodating. Like many of his clients who value Glen's skill and value, we can't imagine working with anyone else. Glen is first and foremost a consummate professional with a servant's heart. He puts his clients first and cares deeply about their progress. When you combine that with his skill, know-how, and deep knowledge of how the body works and can be enhanced through exercise and nutrition, you have an amazing trainer!" "Glen Fortenberry is an excellent Personal Trainer. He is very knowledgeable on fitness, nutrition and re-habilitation so he can address all of your needs. Glen has a huge collection of cardio and strength exercises that he draws upon so you never get bored. Glen will push you hard but never harder than you can handle. What makes Glen such a great Personal Trainer is his personal investment in the success of each of his clients. He will keep you motivated and focused on achieving your fitness goals. I have been going to Glen and he got me in shape to climb Machu Picchu and the cardio exercises have helped lower my blood pressure. I am now working on my goal to loss 25 pounds and I know I will be successful with Glen as my trainer!" environment where you are not judged by your body type, fitness level, age or gender. At Elite Axis we believe that,"couples that stay train together, stay together." Even if you aren't married, but have a partner in crime. This is still an great program too take a look at. You will work as a team and individually for 1 hour long session. The trainers at Elite Axis will work along side you and your partner to create challenging workouts, that crush your fitness goals together. Also including nutritional and motivational support, for the both of you. Having been an avid gym goer my entire life, I'd never understood the value of paying for a personal trainer...that is, until Glen. In the three months leading up to my wedding, Glen helped me drop 5 inches from my waist and 4 inches from my hips. Individually customized sessions mix in a wide variety of training methods (boxing, cardio bursts, strength training, etc.) that continuously challenge me, while still keeping it fun! In each and every session, Glen pushes me to work harder than I could ever do on my own - and the results continue to show through week after week. Glen's caring personality and extreme professionalism offers a comfortable training environment to help push you to where you want to go!" I met Glen in September 2014 and we have been training 1:1 at Jigalin Fitness in the Marina ever since. During the initial assessment and beginning training sessions, Glen was very patient, flexible and knowledgeable. He not only demonstrated the correct technique, but explained reasons for exercising to target specific problem areas. Since we first met, Glen has steadily pushed me to train harder and at a greater intensity. As a result, I’ve felt fitter and more energetic and am more motivated to get to the gym for a session. Since I have a way to go, I’m looking forward to having Glen by my side to continue coaching and supporting me and knowing what is best for me when I need to slow down or when I am being lazy and can give more. Glen’s flexibility and understanding has been one of the main reasons why I have continued to train with him – he has fit in very seamlessly into my hectic work and travel schedule, which is something that I have not experienced with many personal trainers in San Francisco. Thanks to Glen, I look forward to working out; I don’t dread a session before I get there; and I feel energized after each session. " My wife and I were lucky to have found Glen when we first moved to San Franscisco and we have been working with him every since. When we moved to Berkeley we had to find a way to continue to make it work and Glen was incredibly accommodating. Like many of his clients who value Glen's skill and value, we can't imagine working with anyone else. Glen is first and foremost a consummate professional with a servant's heart. He puts his clients first and cares deeply about their progress. When you combine that with his skill, know-how, and deep knowledge of how the body works and can be enhanced through exercise and nutrition, you have an amazing trainer!" Glen Fortenberry is an excellent Personal Trainer. He is very knowledgeable on fitness, nutrition and re-habilitation so he can address all of your needs. Glen has a huge collection of cardio and strength exercises that he draws upon so you never get bored. Glen will push you hard but never harder than you can handle. What makes Glen such a great Personal Trainer is his personal investment in the success of each of his clients. He will keep you motivated and focused on achieving your fitness goals. I have been going to Glen and he got me in shape to climb Machu Picchu and the cardio exercises have helped lower my blood pressure. I am now working on my goal to loss 25 pounds and I know I will be successful with Glen as my trainer!" Having been an avid gym goer my entire life, I'd never understood the value of paying for a personal trainer...that is, until Glen. In the three months leading up to my wedding, Glen helped me drop 5 inches from my waist and 4 inches from my hips. Individually customized sessions mix in a wide variety of training methods (boxing, cardio bursts, strength training, etc.) that continuously challenge me, while still keeping it fun! In each and every session, Glen pushes me to work harder than I could ever do on my own - and the results continue to show through week after week. Glen's caring personality and extreme professionalism offers a comfortable training environment to help push you to where you want go!" fitness level, age or gender. Private 1 on 1 training is a 55-minute personalized training session designed to help you reach all of your fitness goals. Your first session will consist of a full-body assessment that checks your muscle imbalances, body-fat%, measurements and balance. Followed by a program regimen design specifically for you obtaining your goals. With an nutrition consultation also, that looks at all aspects of your nutrition. Here at Elite Axis we pride ourselves on getting RESULTS!! By focusing on hard work, commitment, accountability and positive encouragement! Does this sound like what you are looking for? Well call today for your free consultation! Don't wait another minute, before you decide to put yourself first.